Please note the times of Stations of the Cross, the Eucharistic Holy Hours and Talk this week. 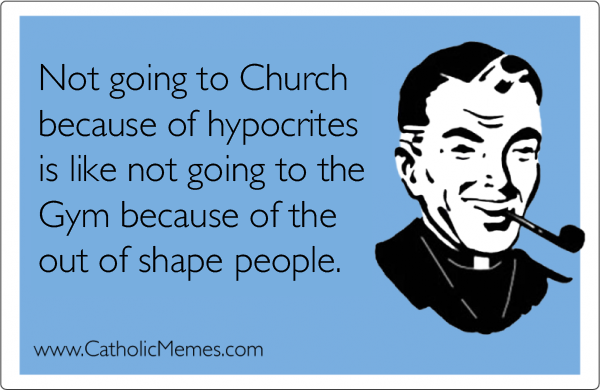 Also make an effort to come to daily Mass at some point this Lent. Fr. James Chambers to the parish. There will be no retiring collection, merely a promotion of greater use of the Red Mission Boxes. - will meet on Tuesday 1st April at 7.00 pm - the theme this week is relaxation. For this week only, the dancing will begin at 8.00 pm. As announced last weekend the parishes of Christ the King and St. Margaret Mary will merge into the new parish of The Sacred Heart of Jesus on Sunday, 6th April. 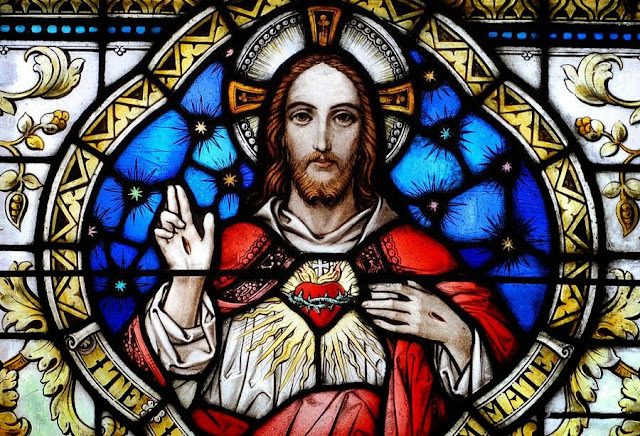 The official celebration of the united parish will be on 27th June 2014 - the Feast of the Sacred Heart of Jesus. Please put in your diary. Donations will be gratefully received on the weekend of 12/13th April - there will be a retiring collection at Christ the King for that purpose. On Wednesday, 16th April 2014, there will be an opportunity to come to the Sacrament of Reconciliation between 6-8.00 pm at Christ the King Church. The evening will begin with a Service of Eucharistic Adoration. On this occasion, there will be no adoration at St. Margaret Mary’s Church that evening. The Easter Triduum will be celebrated at Christ the King this year. Those requiring lifts should sign up on the sheet on the tables at St. Margaret Mary's. 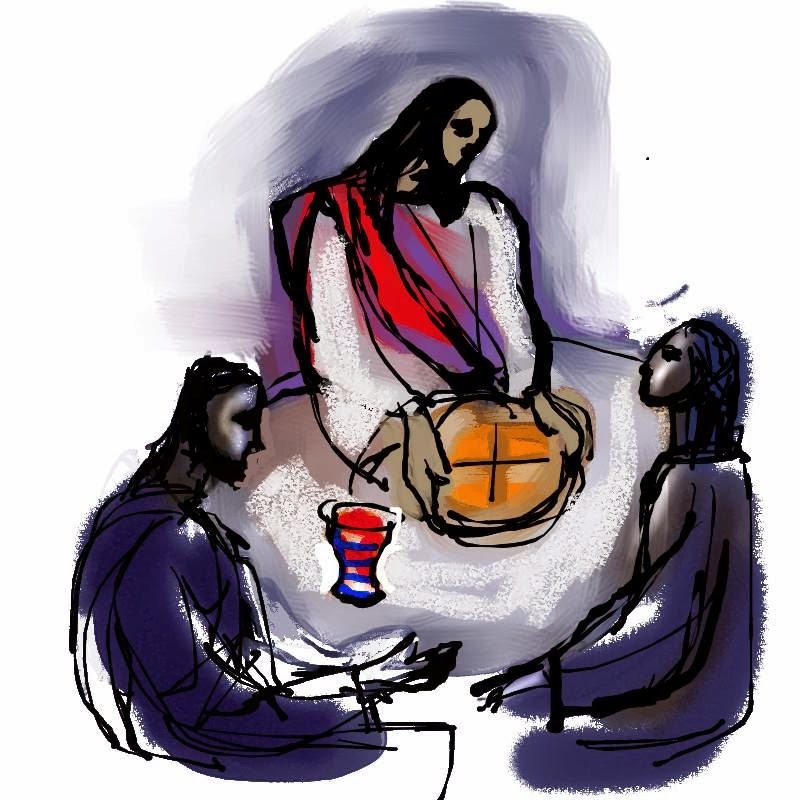 Mass of the Lord's Supper will be celebrated at 7.00 pm on Holy Thursday, the Good Friday afternoon liturgy will be celebrated at 3.00 pm and the Easter Vigil will be celebrated at 8.00 pm on Holy Saturday. The Easter Sunday Masses will be at the normal times of 9.00 am at Christ the King and 11.00 am at St. Margaret Mary's. Holy Thursday is Fr. Michael's 10th Anniversary of Ordination. Could you please let us know your availability during the Easter Triduum. Sign-up sheets are at the back of church. FEAST OF THE DIVINE MERCY will be celebrated in St Bede’s Carlisle on, Sunday 27th April 2014, starting at 2.30 pm. 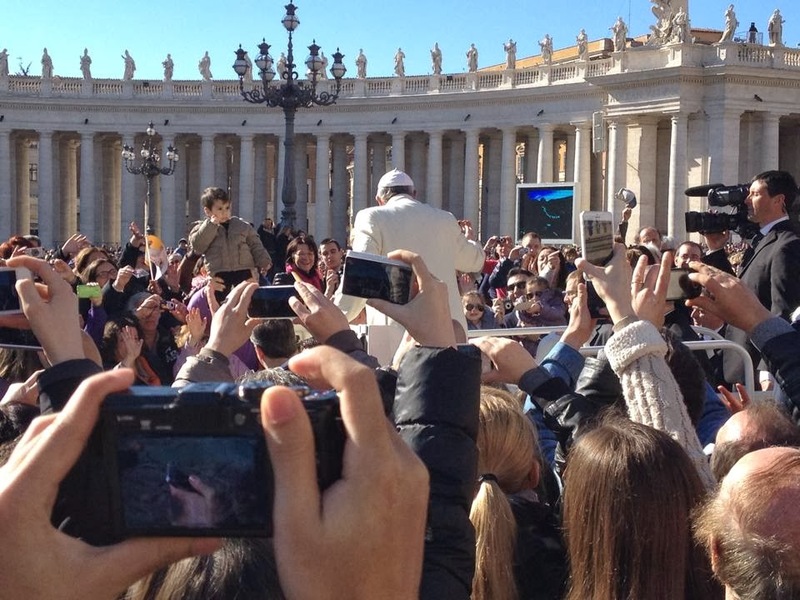 This year is special because Popes John XXIII and John Paul II will be canonised on this day. On Wednesday, 2nd April, at 7 pm in the Waterton Hall, Warwick Square, Carlisle there will be a one hour film called “Ocean of Mercy”. 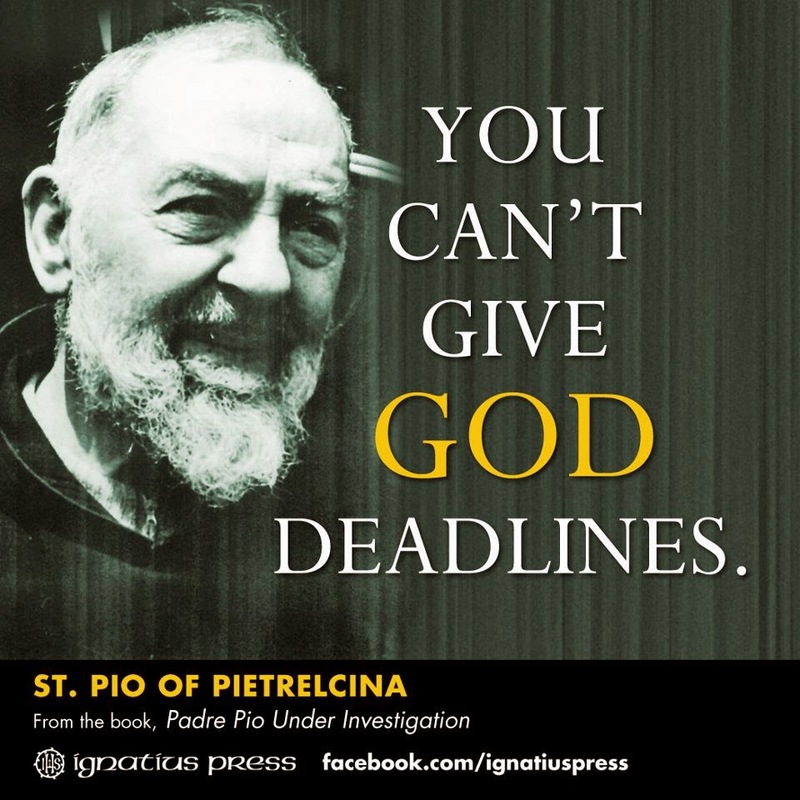 This film connects the lives of Pope John Paul II, St Faustina and Maximillian Kolbe. Following a successful meeting on Monday 17 March, “Life” has been re-established in Carlisle. Our small, but dedicated, group will be working with the well established group in Penrith to provide real and practical alternatives to the culture of death experienced by so many families in our area. If you can mend pushchairs, pack bags with useful items for mums or are interested in becoming a listener, or even a counsellor offering real choice, please get involved. Please contact Joe McGarry on 07973 427099 or by email at “joemcgarry@msn.com”. St Margaret Mary SVP will be distributing food parcels again to those in need this Easter. Please leave your contributions in the box at the back of church. Many thanks for your generosity. If you would like to receive the newsletter via email [and help reduce printing costs], please email sacredheartcarlisle@icloud.com. Please consider joining the Gift Aid scheme. For more information contact Richard Reardon at St. Margaret Mary's and Paul Daley at Christ the King . At Christ the King there will be a box available shortly to allow parishioners to contribute foodstuffs for Carlisle Food Bank. Items particularly needed are: UHT milk; small sugar; tinned sponge pudding; custard (tinned, packet or instant); tinned meat and fish and pot noodles. This initiative is not connected with St. Margaret Mary’s SVP Food Parcels. Held Wed afternoon 1.30-3.30 pm approx at Harraby Catholic Club: chat, bingo, sale, refreshments and to meet new friends. For more information, please see Sr Gerald. If you require a priest in an emergency this week please contact the Canons at Our Lady’s, Warwick Square - Telephone 521509. The new parish has a Twitter Account [@CorIesuCarlisle] and a Facebook Page [SacredHeartCarlisle]. To take place on Good Friday at 5.30 pm from Our Lady and St Josephs to the Wayside Shrine at Wetheral Pastures. A coach will be provided for those unable to walk. 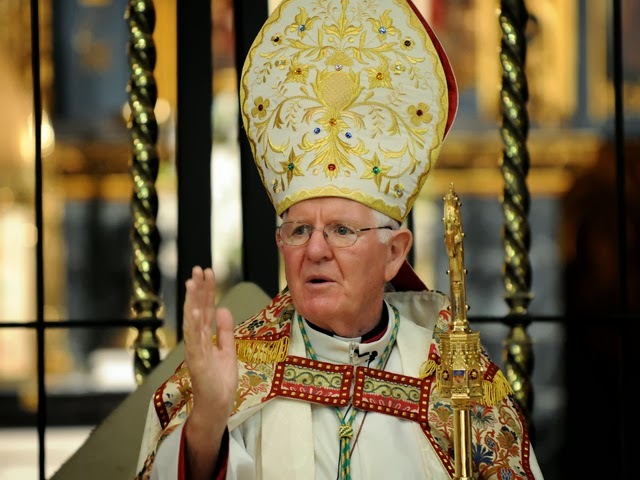 Bishop John Keenan of the Diocese of Paisley called into the parish this morning. Here is his vocation story. We acknowledge with gratitude a further anonymous donation of £1,000 towards the redecoration of Christ the King church. Holy Mass will be offered for the intention of the donor. Losing a loved one is never easy even for those with great faith. We are looking at starting a bereavement support group in the parish - there will be a gathering in the Parish Room at Christ the King on Tuesday 25th March at 2.00 pm. Any enquiries please speak to Jenny Callaghan or one of the sisters. At Christ the King there will be a box available shortly to allow parishioners to contribute foodstuffs for Carlisle Food Bank. Items particularly needed are UHT milk, small sugar, tinned sponge pudding, custard (tinned, packet or instant), tinned meat and fish, and Pot noodles. This initiative is not connected with St. Margaret Mary’s SVP Food Parcels but another initiative. On the weekend of the 6th April we will welcome Fr. John McAuley [no relation to the Newman Head] and Fr. James Chambers to the parish. There will be no retiring collection merely a promotion of greater use of the Red Mission Boxes. Could you please let us know your availability during the Easter Triduum. Sign-Up sheets are available at the back of church. There will be a meeting of the new Parish Finance Committee on Thursday 27th March 7.30 pm at St. Margaret Mary Parish Community Centre. This is held on a Wednesday afternoon from 1.30 p.m. till 3.30 p.m. approx. at the the Club next door to Christ the King Church. Come along for a chat, bingo, sale and refreshments, as well as the opportunity to meet new friends. New members welcome. If interested or would like more information please see Sr Gerald. The team at our diocesan youth centre, Castlerigg Manor, Keswick, have launched a youth group meeting on the last Sunday of each month. Next one, Sunday 30 March, 6.30-8.30pm. All secondary school pupils are welcome. The evening will include some food, fun, and creative things together, and time for prayer and reflection. To help the team prepare the evening, please let them know if you intend to go, 017687-72711, or team@castleriggmanor.co.uk. The Easter Triduum will be celebrated at Christ the King this year. Those requiring lifts should sign up on the sheet on the tables at St. Margaret Mary's. Mass of the Lord's Supper will be celebrated at 7.00 pm on Holy Thursday, the Good Friday afternoon liturgy will be celebrated at 3.00 pm and the Easter Vigil will be celebrated at 8.00 pm on Holy Saturday. The Easter Sunday Masses will be at the normal times of 9.00 am at Christ the King and 11.00 am at St. Margaret Mary's. Holy Thursday is Fr. Michael's 10th Anniversary of Ordination. Lectio divina (sacred reading) has been part of the Christian prayer tradition for centuries. It involves a slow, meditative reading of a short piece of scripture – reading not so much with the mind as with the heart. It is a beautiful, simple practice that enables us to listen deeply to the Word of God for us right here and now. Two opportunities at St Augustine’s this Lent: Saturday 22 March, 10.45am - 12.15pm and Friday 4 April, 9.45-11.15am, in their parish centre lounge. Can you support LIFE in Carlisle? A meeting has been arranged for Monday 17th March at 7.30 pm in the Waterton Hall, Warwick Square, Carlisle for those who want to provide practical and real help to expectant mums in the Carlisle area. If you can mend pushchairs, are a qualified counsellor or just want to pack bags with useful items to help struggling mams and dads, even through prayer THIS IS YOUR CHANCE TO HELP. Can we provide a loving alternative to the culture of death many experience today. Liz Parsons, 'Life's Eduction Officer' for North West England will be there. With the season of Lent there comes a call from God to take a fresh look at our lives and see the direction in which we are travelling. 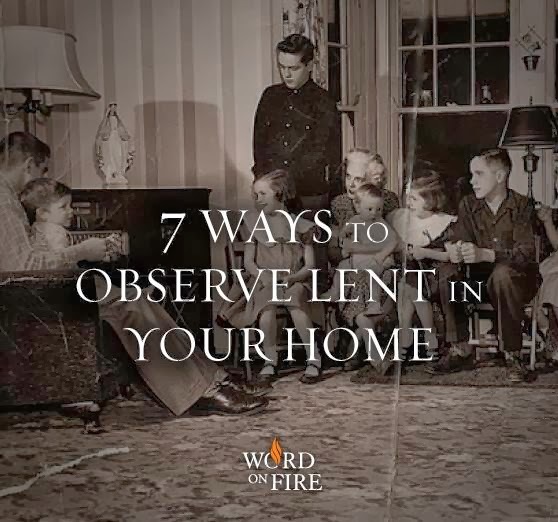 Lent is a special time of grace, and not one to be dreaded or to make us feel uncomfortable. This period of six weeks leading to Easter is intended by the Church to bring home to us the sheer wonder of God’s mercy and forgiveness in Christ for us human beings. No one must feel excluded, or imagine he or she is ‘beyond the pale’ of the divine mercy and goodness. That is a message constantly stressed by Pope Francis since his election a year ago, and clearly welcomed by so many people. The readings from today’s Mass shed light on our human condition, and at the same time offer us hope and encouragement in our efforts to live the Christian life. The book of Genesis speaks of the disobedience and sin of Adam, while the Apostle Paul declares in his letter to the Romans that this sin has affected the whole human race. The Apostle goes on to say that Christ came to redress and undo the damage brought about by that first, original sin. In Jesus Christ we have a Saviour whose power and saving grace are far greater than the power of sin. We need therefore not to be afraid or discouraged because of our sins or bad habits. Yet the story of Christ’s struggle with the devil and temptation in the wilderness is a lesson to us in how we humans have to struggle and resist the seductions and attractions of Satan and the power of evil. 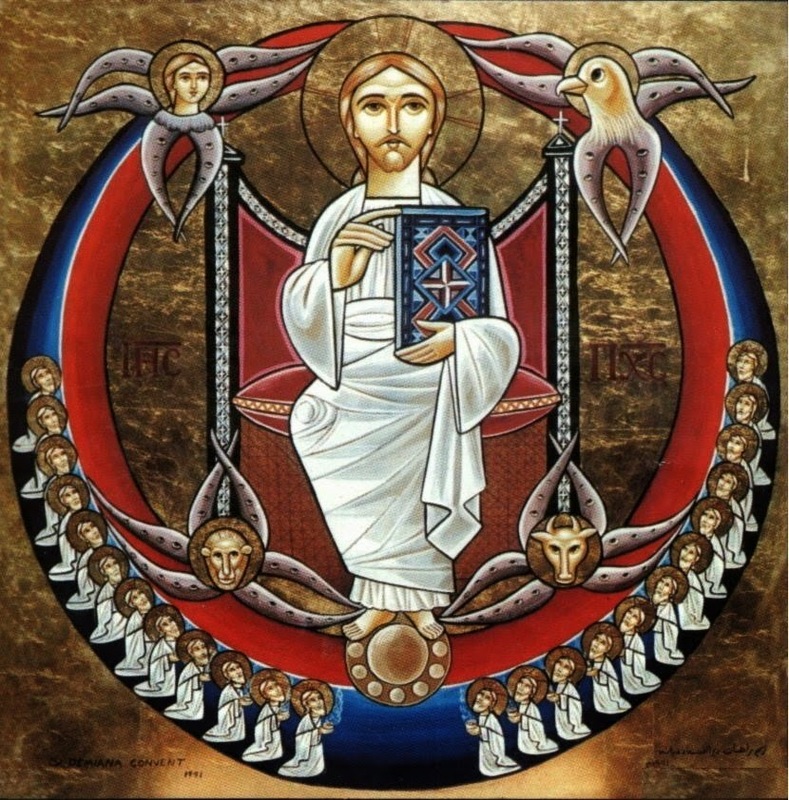 Jesus Christ - the man - fasted and prayed so as to remain faithful to the ways of God His Father, and we, too, are called to follow in His example. The days and weeks of Lent provide us with the opportunity to do just that. We are asked to pray a little more, to engage in self-denial, and be aware of the needs of others less well off than we are. A wonderful and divinely given means of putting ourselves right with God, especially in Lent, is the grace of a good Confession, where Christ touches us with His healing and allows us to hear His soothing words of forgiveness. And which one of us does not need to hear those words! On the Wednesday evening of Holy Week our churches will be open and our priests available to minister in Christ’s name the Sacrament of Reconciliation. I urge you, dear people, to take full advantage of this RECONCILATION WEDNESDAY - a grace-filled opportunity and encounter with our Blessed Lord and His healing touch. Do remember that the personal holiness of each one of us has an impact on the whole Church worldwide. I pray that this holy season of Lent will prove to be a time of renewal and blessing for all of us who belong to the diocesan family of Lancaster. As we look forward to the brighter days and new life in the natural world which come with Easter, may God grant us a state of grace to greet His newly-risen Son in the joy of Easter morning. 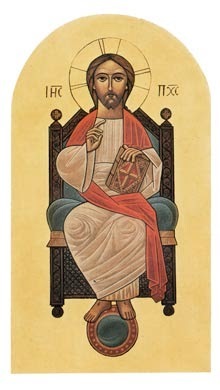 Mass of anticipation at Christ the King at 6.00 pm on Saturday evening. Sunday morning - 9.00 am at Christ the King and 11.00 am at St. Margaret Mary's - there are refreshments after both of these celebrations of Holy Mass. 9.15 am at St. Margaret Mary's and 7.00 pm at Christ the King. There's Eucharistic Adoration at St. Margaret Mary's at 6.00 pm and the first Lent Talk at 7.30 pm at Christ the King.